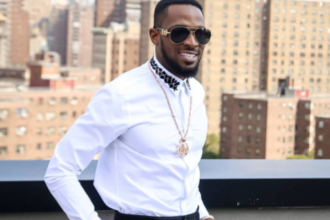 Nigeria’s leading pop star and DB’s Record boss, D’Banj is not relenting on his comeback project as he dishes the remix to his hit single ‘Knocking On My Door’ Featuring ‘Double Wahala’ hit singer, Oritsefemi. It will be recalled that, the two acts jived perfectly on the remix of ‘Double Wahala’ and they re-enacted that once again on this new remix. It seems the king is here for real as D’Banj is making a strong statement in the music industry.